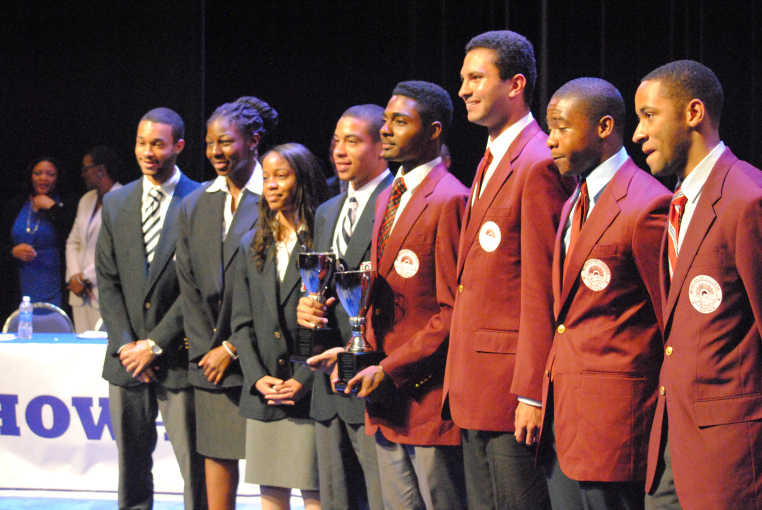 This weekend, the Morehouse College Speech and Debate Team won its first tournament of the 2015-2016 academic season. Numerous schools attended the tournament from Georgia, Tennessee, and Kentucky. The team brought home the 1st Place Trophy for overall best performance. The tournament was held at the University of the Cumberlands in Harrisburg, KY and officially sanctioned by the International Public Debate Association (IPDA). The IPDA format of debate is an individual format that offers students an opportunity to develop as individuals and compete at various levels in four divisions: Novice, Junior Varsity, Varsity, and Professional. What a time to be a part of the Morehouse College Debate Team! P.S. We were featured by one of the premier publications for African-Americans, Ebony Magazine! #BlackExcellence - Congrats to the Morehouse College debate team on winning an IPDA tournament in Kentucky, beating some of the best schools in the nation! Time flies! Homecoming is already in the rear-view mirror, and Morehouse Debate has had quite a semester so far. The new members to the team have picked up right where we left off last year, solidifying our top 10 ranking by winning sweepstakes at the University of North Georgia and Morehouse's own annual King Classic. Individual speaker awards and team successes abound, and the NPDA team is looking to continue it's rousing success this weekend at Valdosta State University. On the British Parliamentary side of Morehouse Debate, growth continues as well. Two teams competed at the Yale Intervarsity and performed historically well, gathering more team points and speaker points than at any time in the team's history. Next up is a trip to the north to visit our friends in Vermont for their annual Huber Debates, where we hope to continue the upward trend. Finally, the team has enjoyed various exhibition opportunities throughout the semester. The Howard Debate, which is always a treat, went fantastically well and received excellent feedback. More recently, the team performed at the request of the college's First Lady, Dr. Carol Espy-Wilson, at the Davidson House. Also, two members of the team represented Morehouse in DC at the Mvubu Debates sponsored by the Civis Institute, where they went undefeated in preliminary rounds, were ranked as the 2nd seed at the tournament, and received an amazing opportunity to travel to South Africa next January to continue their exploration of the topic. All in all, the season has been a rousing success so far, and we hope to keep this trend alive going forward. Don't forget to check back here for more updates, and follow us @MorehouseDebate to the right! Why to start debating is an issue that many prospective members grapple with. Outside of the obvious benefits of having an extracurricular to add to a resume and travel opportunities, the payoff of a debate "career" may not be clear. However, as this article discusses, there are some very tangible gains to be had from time spent debating. The author discusses everything from critical thinking to teamwork to the soft skill of just being able to talk to someone, and how all of these areas are bolstered by debate. It's worth a read if you're debating whether or not to join debate (see what I did there?) or just interested in learning a little more about the activity. Check it out below. If you take a look at our team history, you'll see the names of several exemplary men who ascended through the ranks of Morehouse Debate and credit it with helping them along the way. Today we have another example of the talent that Morehouse Debate possesses, and the great things that our alumni are accomplishing. 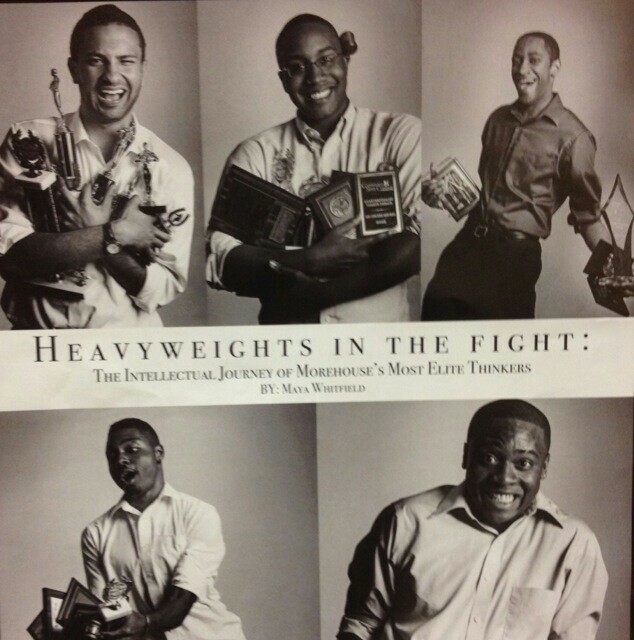 Joining the Debate Team provides my warmest memories at Morehouse. Congratulations to Mr. Cooper for his accomplishment, and for furthering the long legacy of Morehouse Debate Alumni who have gone on and used their skills to accomplish great things. Welcome to the official webpage of the Morehouse Debate Team! Click around and check things out. This website will be periodically updated with information about the team, tournament results, and pictures from our adventures. Also, check back to this area in particular for a running update on the team's activities and any relevant team news. Share with your friends and family, follow the blog, and let's all make the name Morehouse Debate known worldwide!